A delightfully complex white made by Feudi using handpicked Greco grapes from the Campania region in Southern Italy. 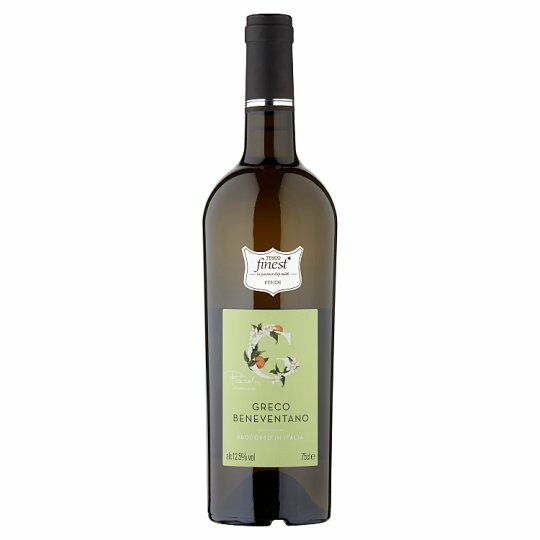 The result is an elegant flavour combination of apple, citrus, quince, passionfruit and almond with a long creamy finish. Delicious with light, refreshing foods such as seafood risotto. A delightfully complex white wine. Elegant flavour combination of apple, citrus, quince, passionfruit and almond with a long creamy finish. Delicious with light refreshing foods. Alcoholic fermentation in stainless steel tanks at 16/18°C. Maturation: about 5 mounths in stainless tanks in contact with its lees. The Greco grapes (corresponding to the Greek grapes Aminea Gemina) comes from clayish/sandy terrain. The typical notes are a green apple scent, jasmine and citrus, with a mineral aroma in the background.